Self Cure Remedy details of Do massage for the care and relief of Stroke, including effectiveness and popularity scores of the remedy. Massages increases blood flow to an affected area, especially for stroke-related muscle problems. Massages may also be effective in stimulating the nerves and restoring normal nerve function. A study has found that massages decreased pain, increased health, and improved movement after stroke. Some studies have found that external counterpulsation (ECP) treatments encourage recovery in people who’ve had an ischemic stroke. ECP treatments involve a technique wrapping cuffs around the hips, thighs, and calves. These cuffs inflate and deflate, giving you a massage-like sensation and helping blood flow to the brain. 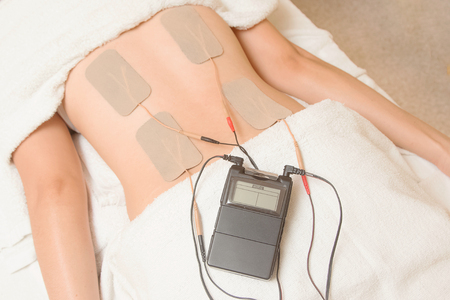 Some other studies have also found that using TENS (Transcutaneous Electrical Nerve Stimulation) devices to stimulate nerves and muscles to be effective in helping regain muscle movement during rehab exercises. There is no typical approach of using massage for rehabilitation after a stroke, since there are different types of strokes and different types of complications following a stroke. Before initiating massage with a stroke patient, make sure that it is cleared by their medical doctor. The self cure remedy of Do massage for the care and relief of Stroke has an effectiveness score of 4.1 and a popularity score of 13 on the self-cure system.